In 1989 Kathy Mills who has Turner Syndrome and is a Psychologist decided to start a support group for women and girls with Turner Syndrome. Notices were sent out to all GPs in the Waikato area to pass on. This resulted in a number of events such as barbecues at homes and picnics at the Lake which were enjoyed by all. There was often about a dozen people at these events. In Jan 1990 there was an article in the Herald about Turner Syndrome which said that there was no support group so a letter was written to clarify that there was one. As a consequence contact grew from Auckland including the Growth and Development Foundation. Following this were some busy years with a number of meetings in Auckland and Hamilton of varied forms. After a couple of years the need to become incorporated and set up proper structures became evident. This was done with the help of Gavin Garnett whose daughter has Turner Syndrome. Turner Syndrome Support Group New Zealand Incorporated was formed in September 1993 and the first information pamphlet was prepared. We were also in contact with a number of women in Christchurch but communication proved difficult. Kathy Mills moved over to Sydney Australia to work in about 1994, she was missed! The group ran in a limited way over the next few years. We really only sent out information to newly diagnosed women and girls. We have kept contact with the Australian group and a number of us get their newsletter, and have been to across for conferences. The international conference in Sydney 2003 was attended by about 6 kiwis. Conferences have also been held in Brisbane in 1996 and 2006. 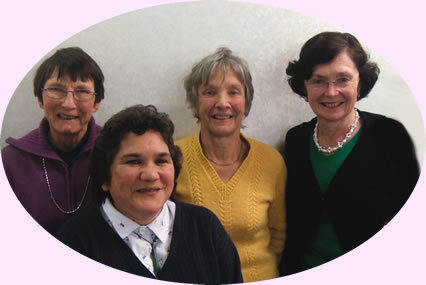 In 2000 there were a group of women in Auckland wanting to restart the group. This was well supported by Waikato and we have had a number of excellent meetings. In June 2001 the rules of incorporation were altered to achieve charitable status. A seminar day in Auckland was organised by Pharmacia August 2002. A number of excellent speakers aided the knowledge of Turners ladies. A seminar day was organised in Hamilton in May 2005 this was well attended by about 40 people. The speakers were of high quality and presented the latest information. The last few years there have seen girls going on Koru care trips and girls camp which has really benefited them. We look forward to the developments over the next few decades.